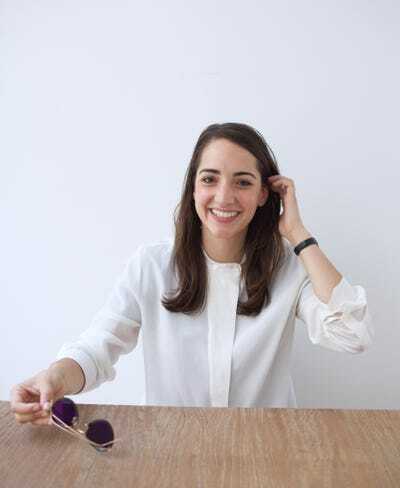 Marcela Sapone and Jessica Beck hatched the idea for Hello Alfred while they were at Harvard Business School, and found that working gruelling hours wasn’t conducive to keeping their apartments clean. 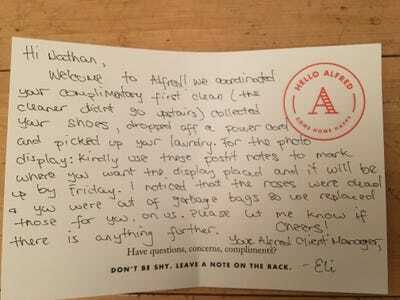 The concept stuck, and eventually the pair cofounded Hello Alfred, a concierge startup where its employees run your errands for you. Alfred’s basic service costs $32 per week, plus the cost of goods like groceries, and is handled through its smartphone app. 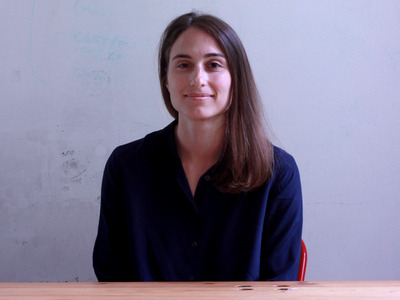 Since Alfred’s founding, Sapone says she’s been obsessed with “density.” Density of customers is how you make a business like Alfred’s work, and scale, she explains. 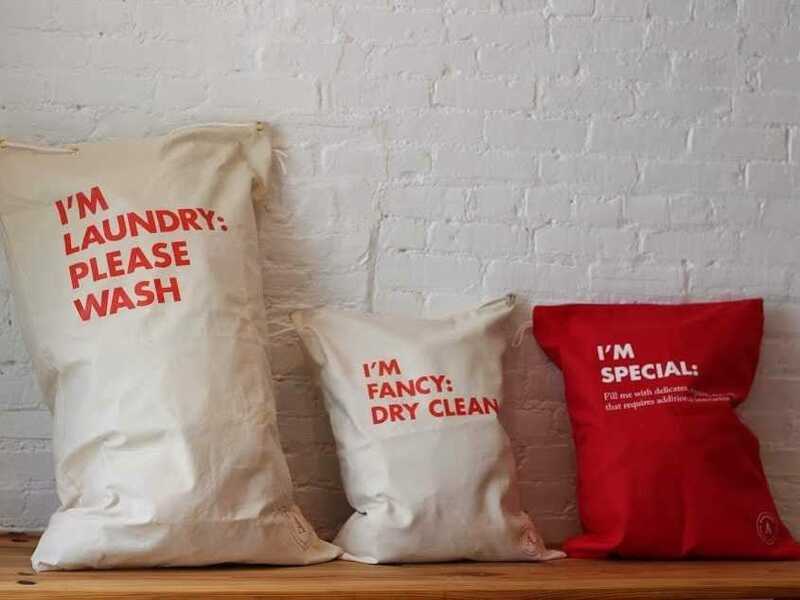 Sapone says Alfred has a huge waitlist, but that the company has constrained its growth to focus on making sure its unit economics are solid. One of the first companies to offer Alfred as an “amenity” in its buildings is Ollie, a micro-apartment and coliving “specialist.” Ollie recently announced plans for a 301-apartment property in Los Angeles, touting a basic subscription to Alfred as one of the amenities. Ollie cofounders Chris and Andrew Bledsoe tell Business Insider that they always knew they wanted concierge-level services, and actually started out talking to more traditional ones. But Alfred made the compelling pitch: a lot of things a traditional concierge services does, like ordering cars and making reservations, are easy to do on your smartphone. Alfred would step in for things your smartphone couldn’t do. It was in Alfred’s first pitch deck, she says. 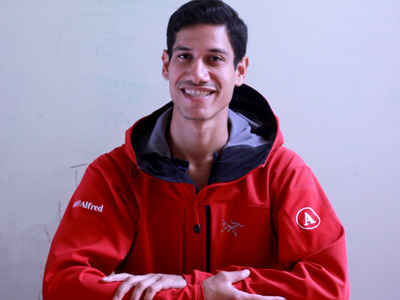 Alfred, so far, has raised $12.5 million from investors, including Spark Capital, New Enterprise Associates, Sherpa Capital, and CrunchFund. When these chores are within reason for what an Alfred could accomplish in a weekly visit to your house, you don’t get charged. The tasks I asked for all fell under the basic service, though a Bloomberg writer who had Alfred resell 90 books was charged for this. If Alfred has to subcontract the job or do a lot of additional work or travel, you’ll be billed. Otherwise, you’ll just be charged the cost of the goods (the power strip, for example). You can also discuss the amount of work one of your requests will require with your Alfred beforehand using the app, which I did a few times. 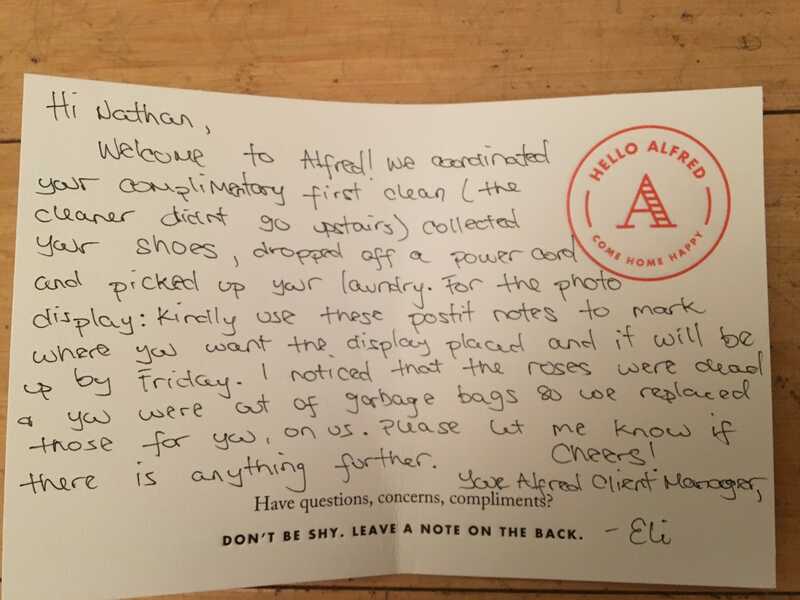 My biggest problem with the service was that once I had my Alfred to do all the chores I’d been too lazy to do, I felt like the service was less valuable for me. I live one two blocks from a laundry place and three blocks from a grocery store. I don’t have prescriptions to fill regularly or parcels to have Alfred drop at the post office. While I appreciate that these tasks might be more burdensome or pressing for others, they just aren’t for me. Those recurring tasks weren’t compelling for my life, as it stands today. Business InsiderA note from Eli. But I will say the main benefit to Alfred was that I simply didn’t have to think about keeping my home in order. When I remembered some tidbit I needed to buy sometime in the near future, I put it on my list, and it appeared. Since I don’t completely destroy my house every week, Alfred’s tidying was more than enough. I just didn’t have to make time for those things, or worry. That feeling isn’t worth $32 per week to me at this point in my life, but it was tangible. And if it were a free amenity in my building, I certainly wouldn’t say no.